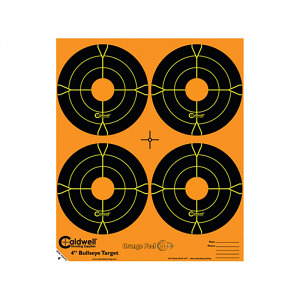 Twenty-five 4" self-adhesive targets feature a black bullseye with orange center dot on a bright orange background. 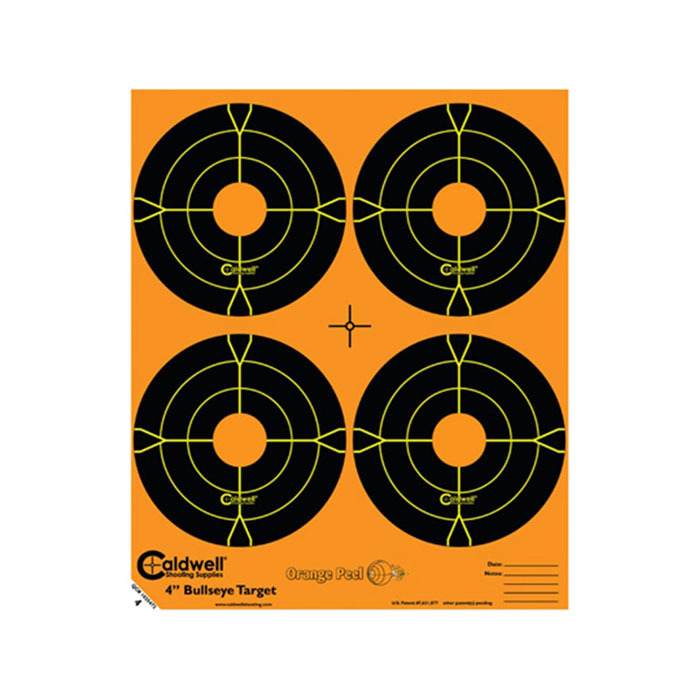 A hit on target offers a bright yellow ring easily seen at distance allowing you to score without leaving the firing line. 4 bulls per sheet.